On August 5, 2018, I went birding at Lake Waccamaw State Park. The birds were more scarce than I’d expected, but I finally found Blue Jays and a few other common birds near the Visitor Center. Why is this even worthy of mention? Because the park is in Columbus County, the last of North Carolina’s 100 counties in which I have observed birds. Yep, I’ve now seen birds in every county in my home state. If you are not a birder, you may still think that this is not worthy of mention and you should stop reading now. 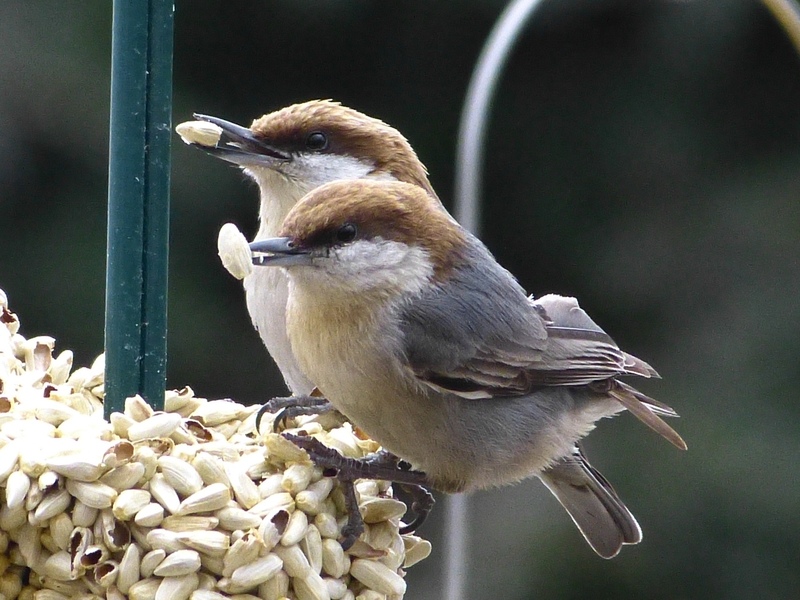 No, these particular birds were not my life Forsyth County Brown-headed Nuthatches, but you weren’t going to keep reading without some cute photos, were you? County birding is my favorite of games birders play, but it took a while before I got serious. 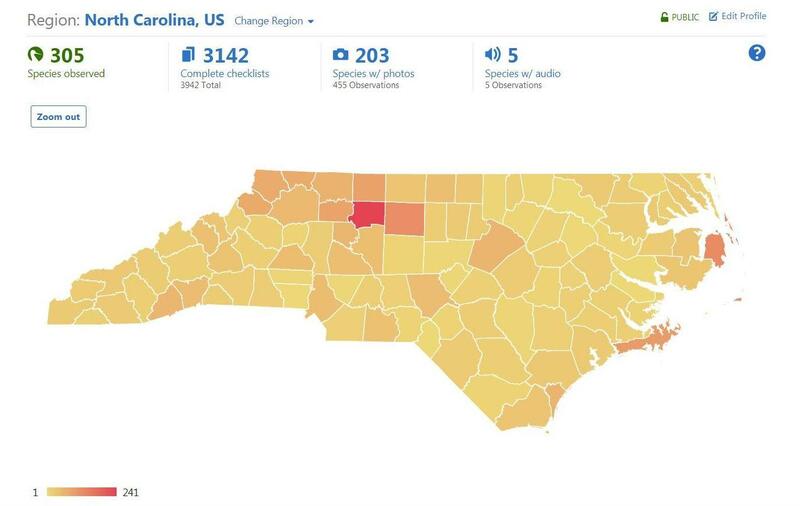 In December 2009, eBird introduced county birding to “inspire people to go birding in places that don’t typically get much coverage.” I am a huge fan of eBird, so I wanted to help with this effort. I started birding the counties adjacent to Forsyth that didn’t have many checklists. Sometimes I went alone, but frequently I enlisted friends Carol or Brent to go with me. 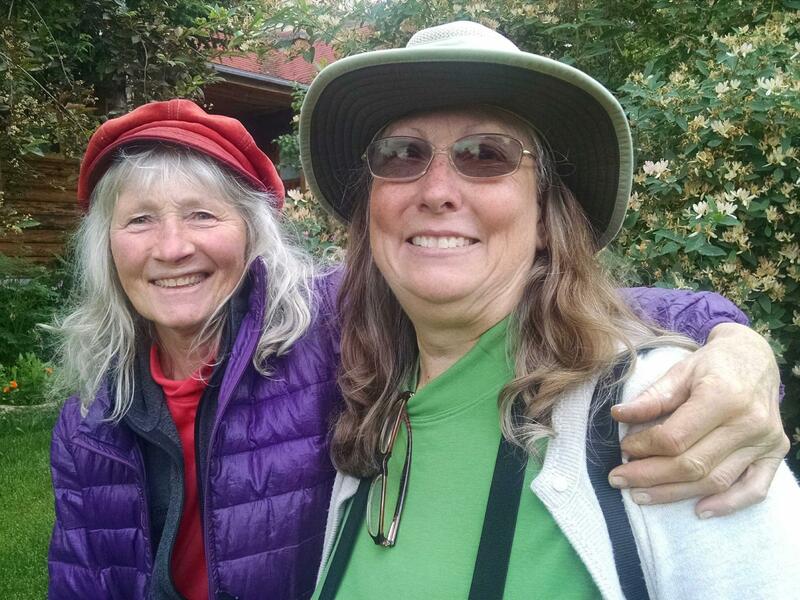 We had great fun on our outings and it wasn’t long until Carol and I found a county record Horned Grebe for Stokes County. It was the first time that anyone had reported the species in that county. 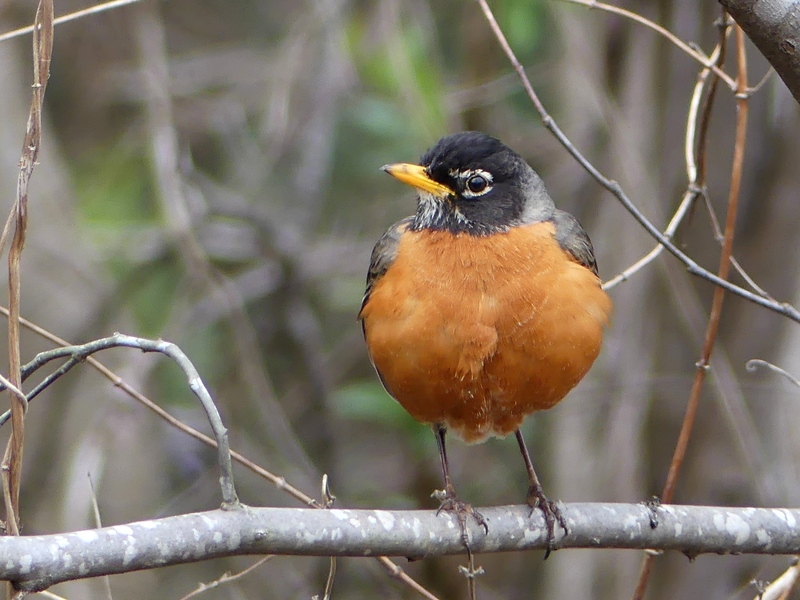 In the County Birding “game,” an American Robin counts just as much as a rare bird. At some point I became aware that county birding was more than an eBird effort; it was almost a competitive sport. I discovered that birders in Texas, Florida, California, and a few other states were obsessed with focused on county birding. And then I met Derek, right here in Forsyth County, who had seen birds in all of North Carolina’s counties. I started joining him occasionally for a day of birding as he upped his county ticks. County ticks are simply the sum of one’s life lists for each county in an area (usually a state). So, if I had seen 200 birds in Forsyth County and 100 birds in Guilford County, I would have 300 county ticks for NC. It didn’t take many days of birding with Derek until I decided that I, too, wanted to see birds in all of North Carolina’s counties. I am especially grateful for my friend, David, and my son-in-law, Jeff. David is not a birder, but he understood my craziness and helped me in the western part of the state. It can be hard to find birds in those small mountainous counties and I was happy to have the company and the help. Jeff is only a casual birder, but he spent several days with me in the northeast corner of the state searching for birds. 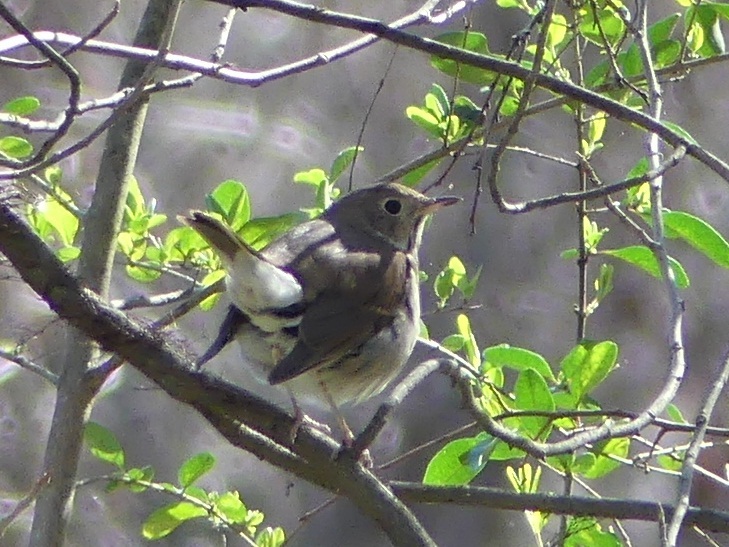 A pretty Hermit Thrush that Jeff and I found in Chowan County. I wish that I’d kept notes on every outing, every new milestone, but I did not. Instead, I have only delightful random memories, like a stream of consciousness. Please indulge me as I share a few of those memories. Derek is an excellent birder with the energy that comes from being young. And, he was willing to go birding with me – a woman with bad eyesight and old enough to be his grandmother. The love of birds and birding that transcends all other differences is one of the things that I love about the birding community. But, I digress. A typical day of birding with Derek started with meeting around 7:00 AM and driving two to three hours to get to the counties we needed. Derek is a great planner and he continued to watch bird alerts while I drove. We birded until dark and then Derek drove on the way home. Sometimes it was 11:00 PM when I pulled into my driveway. But, we always had fun and we always got new county birds. In January 2017, Derek introduced me to the idea of combining county birding and state birding, seeking birds not just new to a particular county, but new for the state. 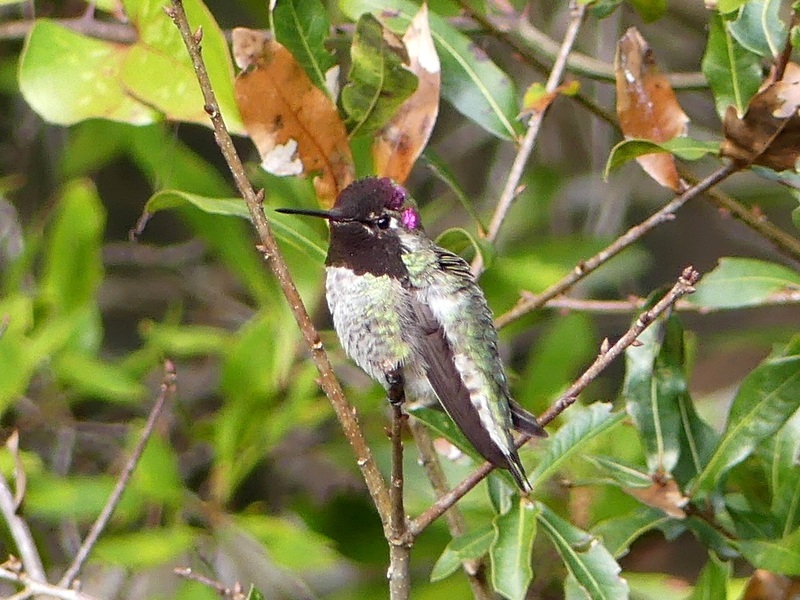 A rare (for North Carolina) Anna’s Hummingbird had turned up on the coast, inspiring us to make a two-day trip to see this beauty. We added several new birds for Dare County, including a surprise Brown Thrasher while waiting in line at the Nags Head KFC drive-thru. Later that year in May, we couldn’t miss an opportunity to see this cooperative Mourning Warbler in Avery County, another state bird for both Derek and me. This led to stops in Wilkes County, an Alder Flycatcher at a blink-and-you-would-have-missed-it bog on the Blue Ridge Parkway in Burke, and then multiple stops at under-birded hotspots in Mitchell, Yancey, and McDowell counties. Our favorite location that we discovered that day was the lovely Bakersville Creek Walk in Mitchell County, which I made into an eBird hotspot. In addition to finding notable birds, I enjoyed the quirkiness and little surprises of county birding. Derek and I called it the “wavy road.” It was as much in the middle of nowhere as any place in NC. I think we were on a mission to find a Clay-colored Sparrow. The road was completely level on the middle line, but the edges rose and fell like waves. Driving the road felt like a ride at an amusement park. We marveled at the oddity of the road and were happy that it didn’t last too long. And, yes, we got our bird. 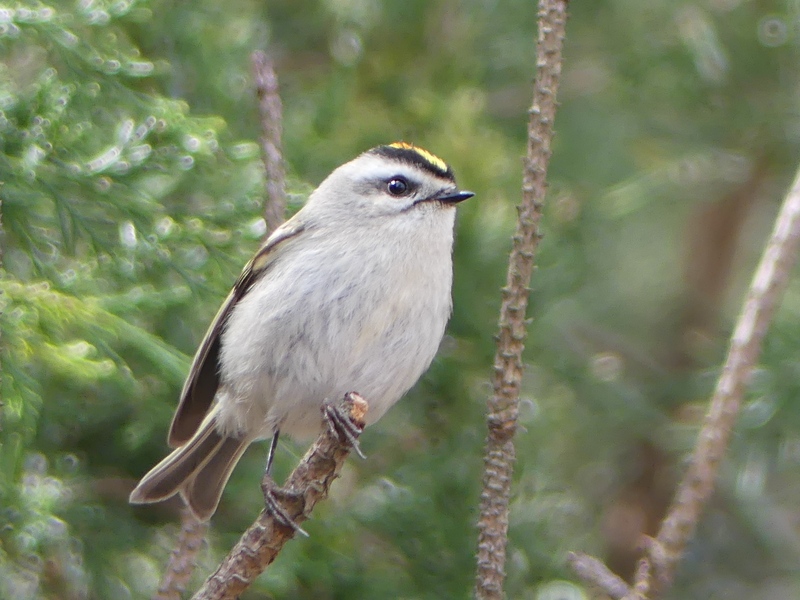 On a day of birding with Hop in Cleveland County, he pished up this Golden-crowned Kinglet. 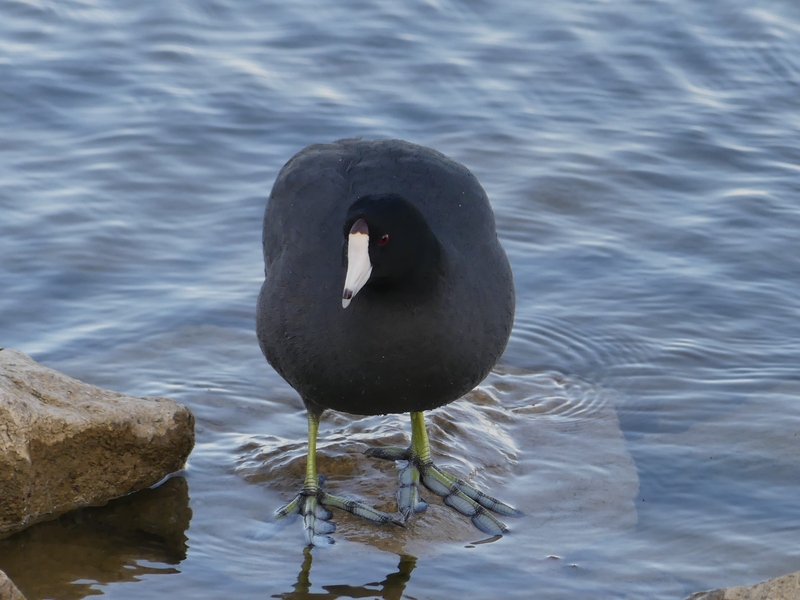 Plenty of mistakes were made in my search for new birds, mostly when I was birding alone. I currently have only one bird for Halifax County even though I spent the night there. I got confused about the county line and did not even realize where I was! A more serious mistake occurred when I was birding alone in the Croatan National Forest and became totally lost. Fortunately, I was able to use the eBird track on my phone to navigate back to my car. Once on a trip with Derek to the Sandhills area in the middle of summer, I failed to take water on our walk. When we were almost back to the car, I began to feel sick – very hot and nauseous – so I just lay down on the sand and sent Derek back to the ranger station. I knew the ranger would come for me in his truck, which he did, and I learned a very valuable lesson. 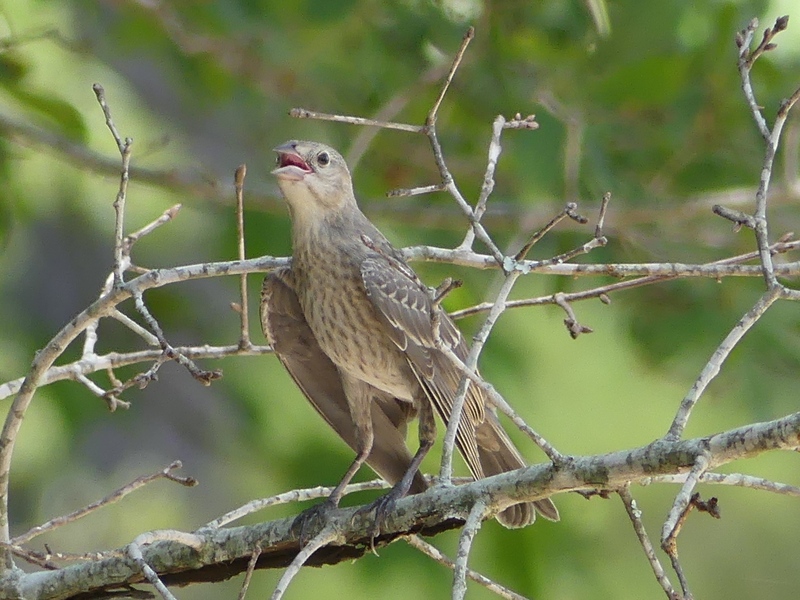 This young Brown-headed Cowbird appeared to be hot, too, on that sweltering day in Cumberland County. 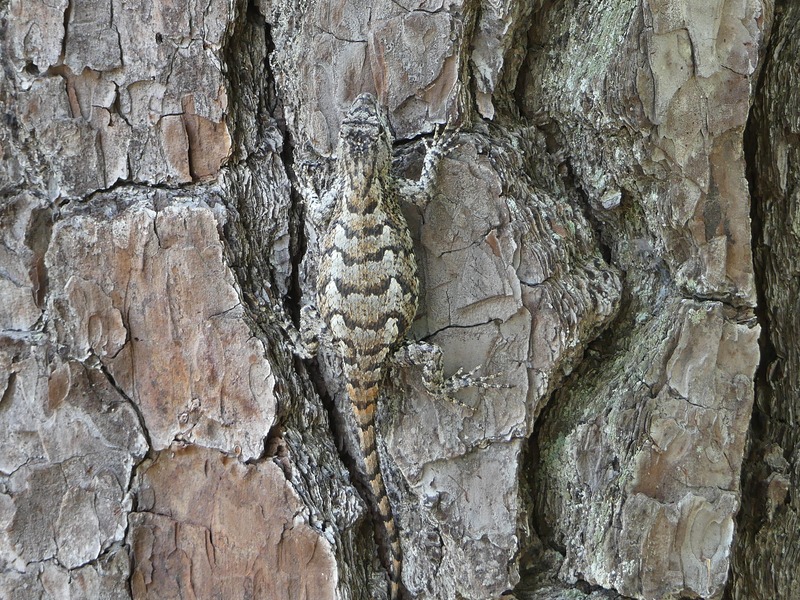 But, the heat might have been responsible for the wonderful lizards we also found on that hot July day. Derek and I considered all wildlife sightings a big bonus of county birding. Eastern Fence Lizard at Carvers Creek State Park, a lifer lizard for me! I made even more mistakes finding birds, again usually when I went out on my own. Many these errors were my poor decisions about which birding hotspots to visit. A State Recreation Area on a large lake was “Closed for the Season” when I got there in the middle of winter. Some hotspots no longer had access and some were just about impossible to find. One location with many great eBird reports appeared to be a road that no one would walk except hunters or crazy young male birders. I’m pretty brave, but I was not going to park my car on the side of the road and walk alone into the wilderness in a remote, isolated part of the state. A Great Spangled Fritillary that Derek and I found near Boone in June 2016. 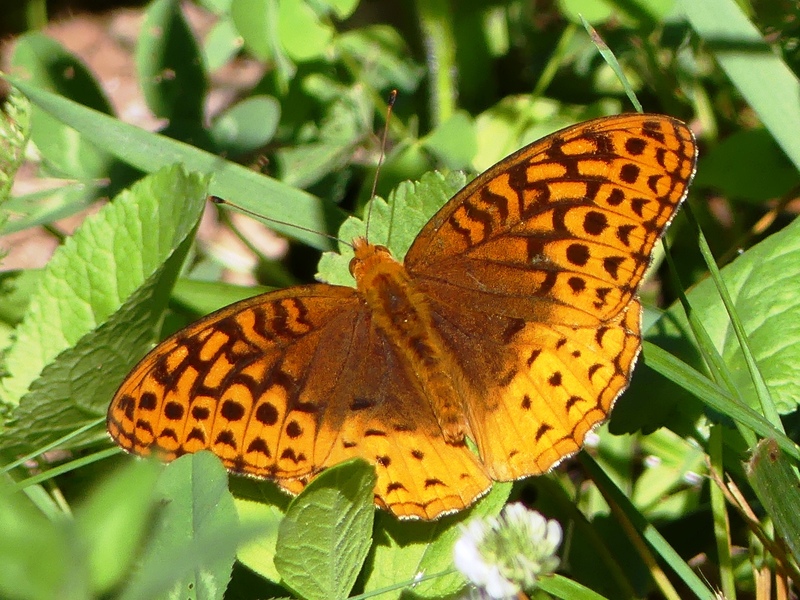 We frequently encountered beautiful butterflies while searching for birds. As I have written this, more memories keep flooding back. Looking for Swallow-tailed Kites with Nathan and Sarah. The Person County Northern Lapwing with David S. The Brown Booby with Jay. The Allen’s Hummingbird with Phil and Carol C. Transylvania County. 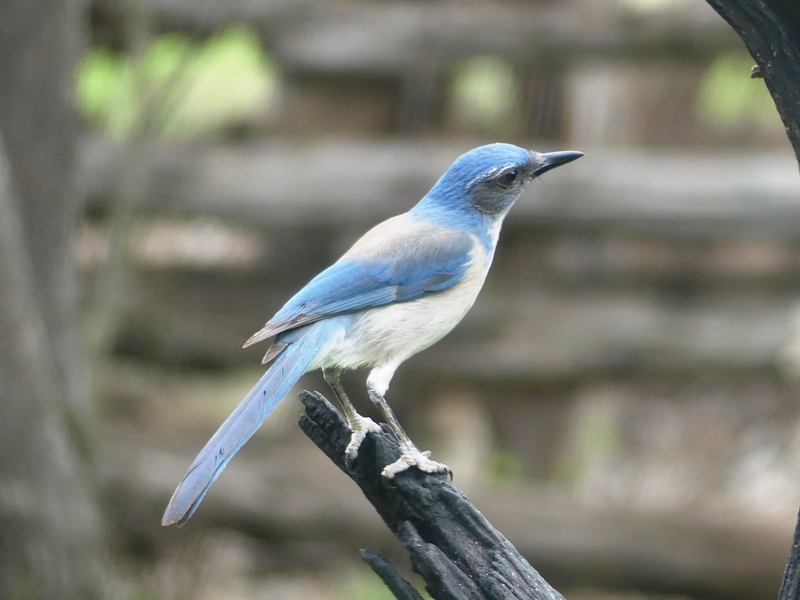 Forsyth Audubon and Piedmont Bird Club trips. I can’t name them all, but I treasure every one of my birding adventures and I am grateful to have shared so many with friends. 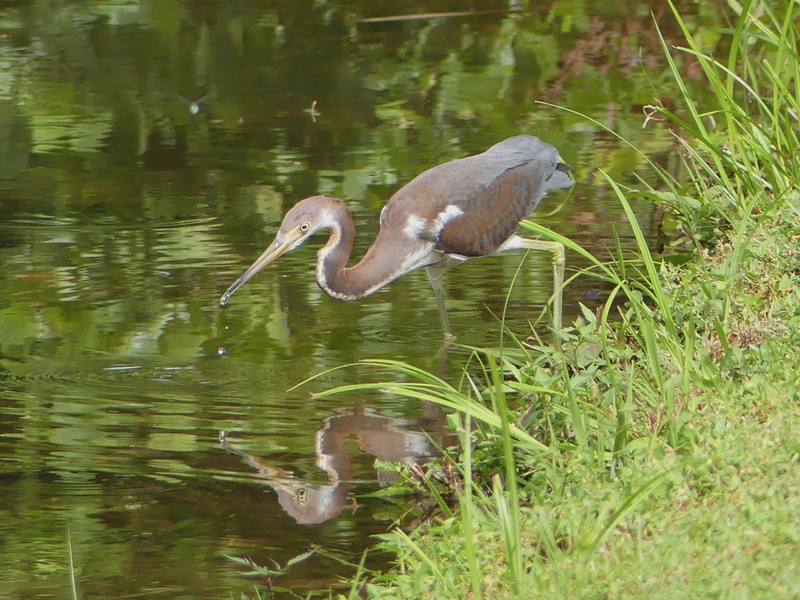 My most recently photographed county tick is this Tricolored Heron, right here in Forsyth County, only the second of this species to be observed in our county. But, I now have an even newer county bird, a Royal Tern that David Disher found at Salem Lake during Hurricane Florence. My eBird map for NC is below. As you can see, I don’t have many birds in most counties, so I’ll be able to continue the county birding game for quite a while as I add new birds. I hope to keep birding in North Carolina for a very long time. I still remember the first time that I travelled to Austin, Texas. Running through O’Hare Airport to catch my plane to Florida, where I would spend a couple of weeks with my parents while my husband looked for an apartment. Being aware, but not afraid, that flights to Florida were being hijacked to Cuba. The flight to Houston on a jet and then the final leg to Austin on a small prop plane. It was 1968 and I was 8-months pregnant with my first child. A month later, my son, David, would be born at Bergstrom Air Force Base in Austin. Me shortly before and just after the birth of my son David in 1968 I think the photos were taken at Bastrop State Park. This trip in March 2017 was much easier. I just got in my Subaru Outback and drove to Austin. The purpose of traveling to Texas this time was to visit Trissie, mother of Dave’s daughter, Amber. Sadly for me, Dave and Trissie are no longer together. Dave is still in China, but Trissie is now in the US and engaged to Mike. Trissie is familiar with my birding addiction from our time together in China, so I knew that I could combine birding with a family visit. My road trip skills are improving, although I still have much to learn about planning and finding birds. The first day on the road, I drove through heavy storms for much of the way, but it was clear when I got to Nashville. I didn’t have time to go to the park that I had originally planned, but I found J. Percy Priest Dam just a couple of miles from my hotel. 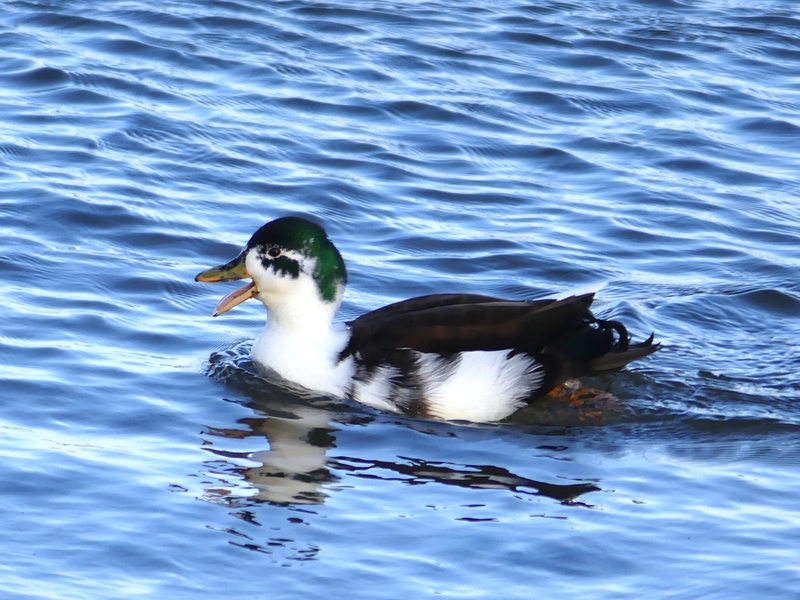 I’m easily entertained, so I enjoyed the cutest mongrel Mallard that I’d ever seen, studying the feet on the coots, and watching a Common Loon try to choke down a very large fish. On day two, I drove to Texarkana and stayed the night on the Arkansas side. My planned stop near Little Rock hadn’t worked out, so I decided to find some Arkansas birds in the morning before driving into Texas. The next morning was magical – sunny, perfect temperature, no wind – and Alex Smith County Park proved to be one of my favorite stops of the entire trip. A dirt road passed the official park, a lake, and a wetland on the way to the river. A couple dozen Gadwall were on the lake. When they flew from one side to the other with their white speculums gleaming in the sunlight, I thought that I’d never seen anything so beautiful. 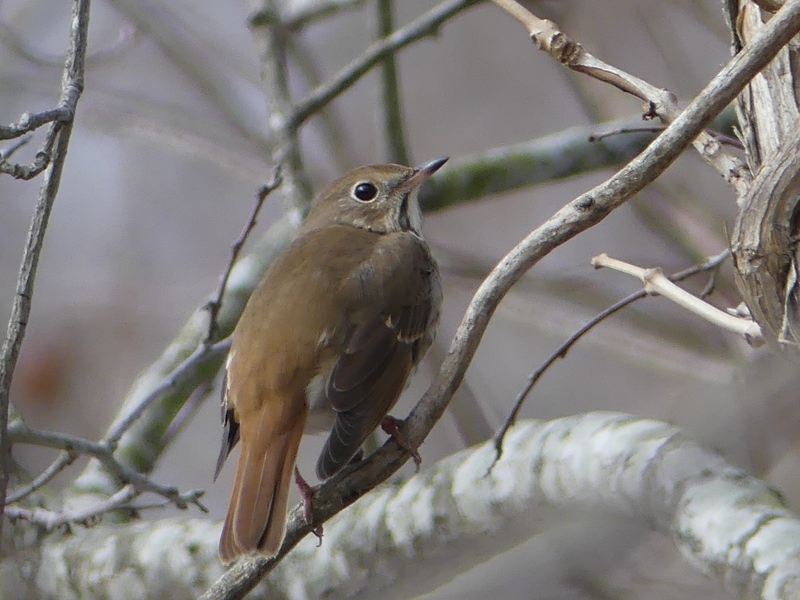 Hermit Thrush basking in the sun at Alex Smith County Park in Arkansas. I drove on to Austin, where it was great to see Trissie again and meet Mike. 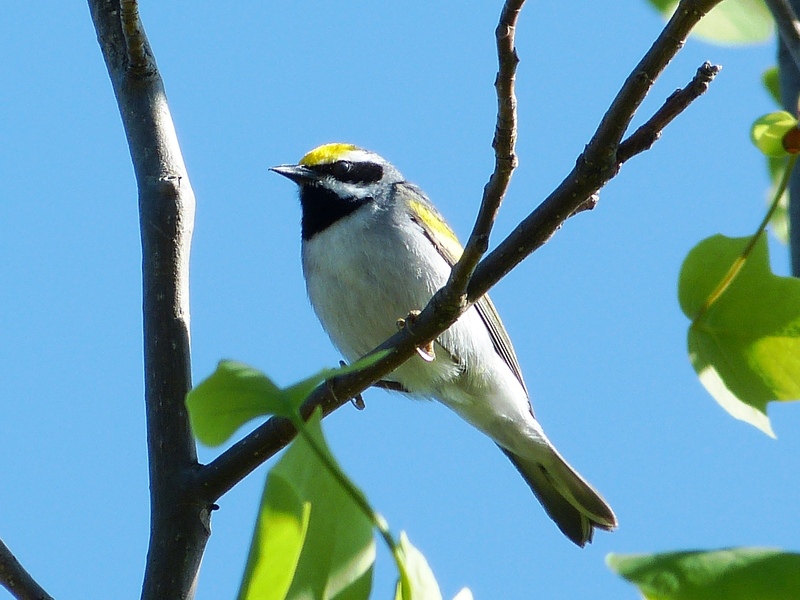 On Saturday, our first full day together, my hosts indulged me with a trip to Balcones Canyonlands, where two endangered species, Golden-checked Warbler and Black-capped Vireo, breed. It was a bit too early for either species, but the landscape was beautiful and I hope that Trissie and Mike found a beautiful place for hiking. 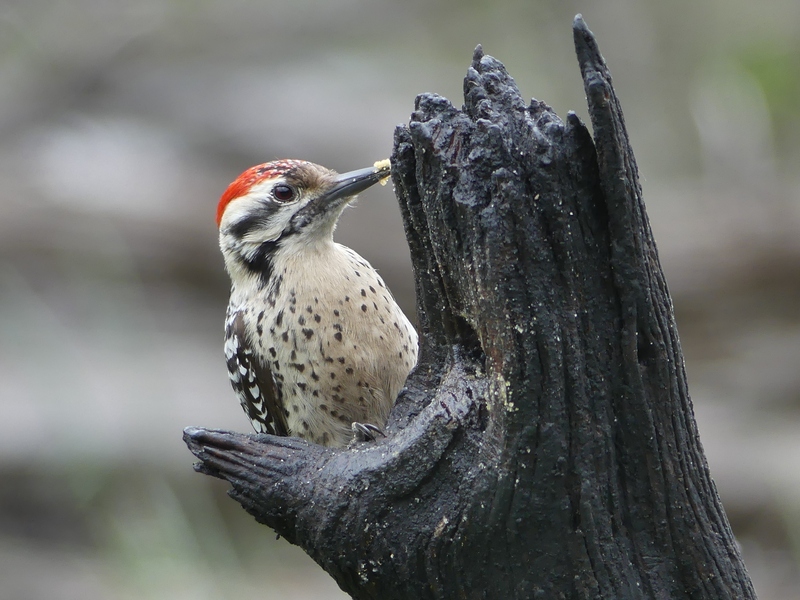 Male Ladder-backed Woodpecker, a species that I saw at Commons Ford Park and again later at Pedernales Falls State Park. Andrew Dickinson, the son of friends, lives in Austin and we had arranged an outing for Sunday morning at Commons Ford Park. Trissie and Mike were good sports and got up early to go with me. 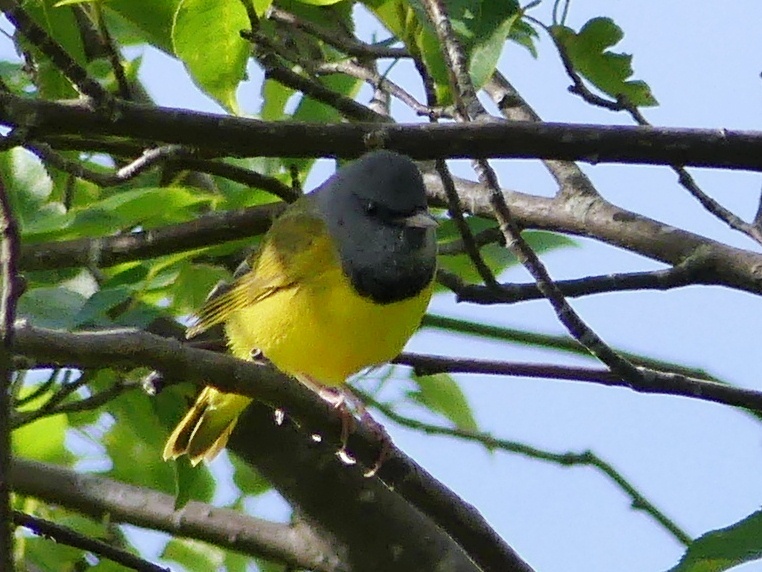 It was a nice introduction to Travis County birding and exciting that Andrew found an early Northern Parula. I also saw my first western birds here – Spotted Towhee, Black-crested Titmouse, Woodhouse’s Scrub-Jay, Golden-fronted and Ladder-backed Woodpeckers. That afternoon, we toured the Texas state capitol because it seemed like something that tourists should do. We were all a little surprised at how interesting we found the capitol and how much we enjoyed the tour. 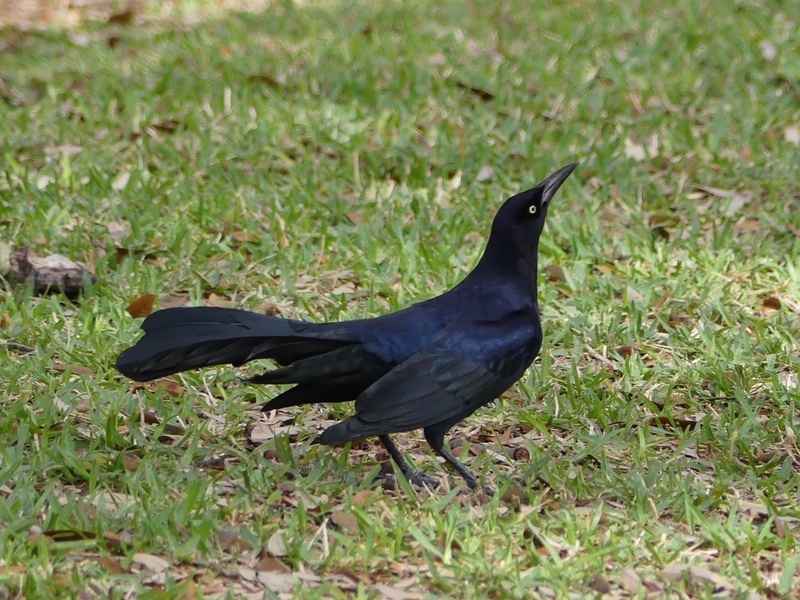 Great-tailed Grackles were abundant on the Austin capitol grounds. Monday was one of my favorite days. 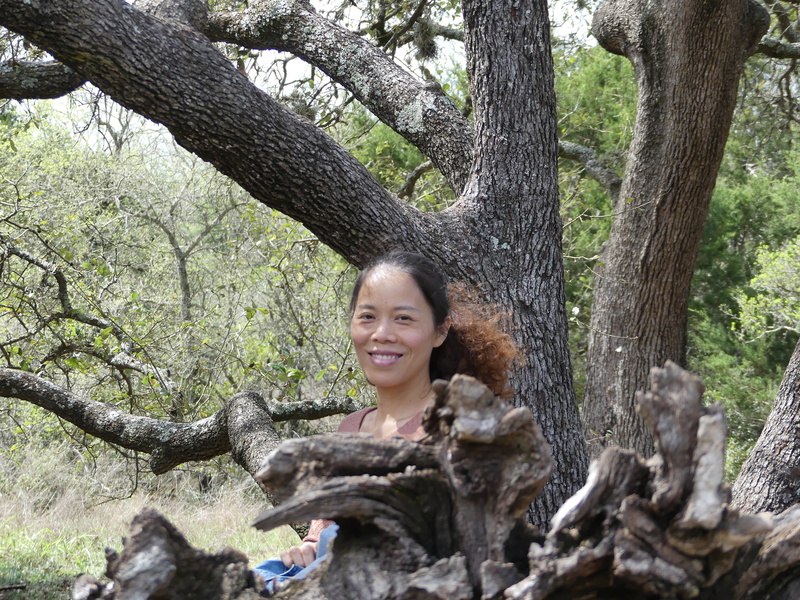 Mike had to go to work, but Trissie took the day off and we went to Lady Bird Johnson Wildflower Center. A volunteer immediately greeted us and pointed out a Great Horned Owl on a nest right above the entrance to the courtyard. “Athena,” as she is called by the staff, has nested in the same location for 8 years! She just sat there watching all the visitors look at her and take photographs, but she must have felt safe from predators. 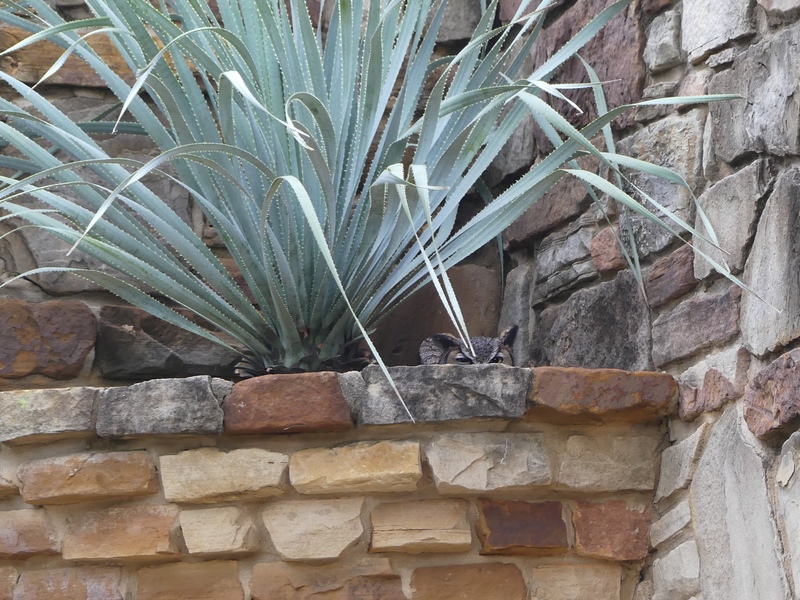 Look carefully under the sotol to see Athena’s eyes just peeking over the edge of the planter. 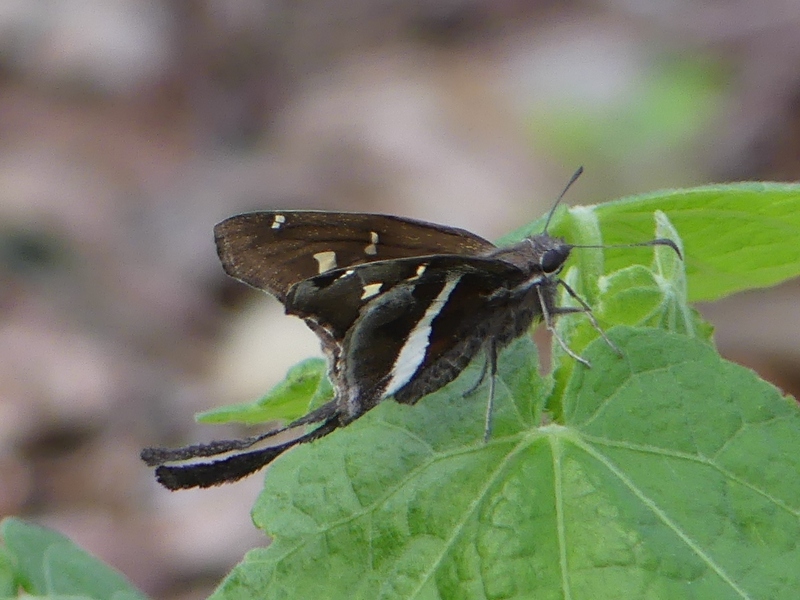 I especially enjoyed the butterfly garden where I found a new butterfly, White-striped Longtail. 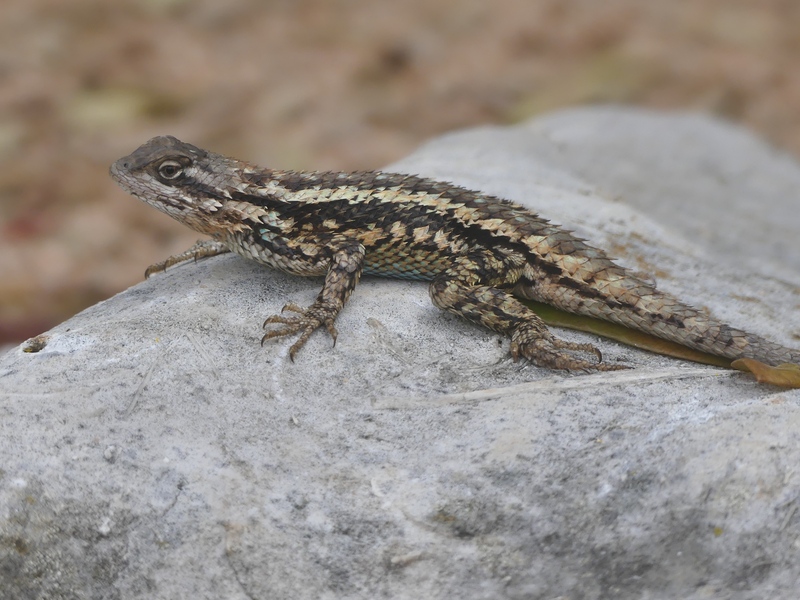 A gorgeous Texas Spiny Lizard. Trissie became engrossed in the beautiful books that were available for browsing and we both enjoyed the film about Lady Bird Johnson. She was an amazing woman who accomplished much good and I now have an increased appreciation for her numerous environmental contributions. Trissie enjoying the arboretum at the Lady Bird Johnson Wildflower Center. Next it was a trip to the Alamo for Trissie and me. It’s a place that everyone should go once, but once is enough for most, so Mike was happy that Trissie could go with me. We enjoyed being tourists and walked the river front after touring the Alamo. I went to Pace Bend Park by myself on Wednesday and could have spent days there. 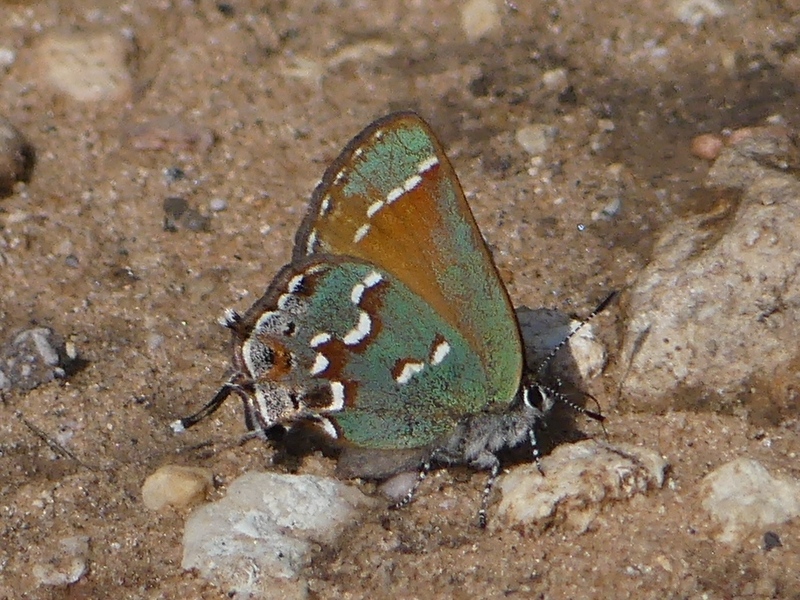 I foolishly did not read eBird reports before I went, so I missed a lot of birds, but did find the only Canyon Towhee of the trip, more Woodhouse’s Scrub-Jays, and several pretty butterflies. That evening Carlos Ross, a new friend made on Facebook, met us at Commons Ford Park to look (well, actually listen) for Common Poorwill. It was a lovely evening and the four of us were the only people at the park. We talked about the mysteries of birds and life while we waited. And, then I heard the soft “Poor will, Poor will” in the distance. Yay! This was my only life bird of the trip. I had planned to leave on Thursday, but I couldn’t tear myself away from Texas birds, so Trissie and Mike invited me to stay with them another day. 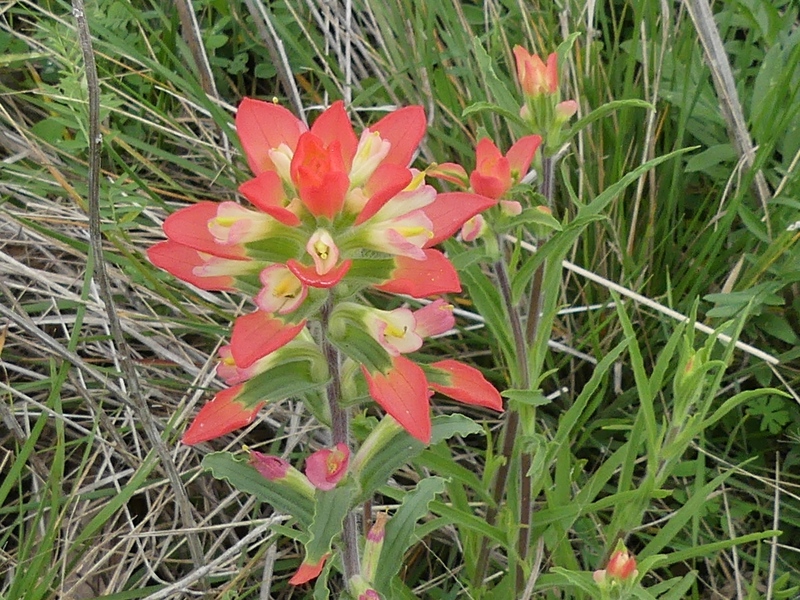 The volunteer we had met earlier in the week at the LBJ Wildflower Center had shown us some beautiful photos that he took at Pedernales Falls State Park, so we decided to go there on our last day together. We walked into the bird blind at the park and my jaw dropped. The bird area contained a large pool/fountain and several tree stumps stuffed with suet – all designed to draw in the birds. And, did it ever draw them in! 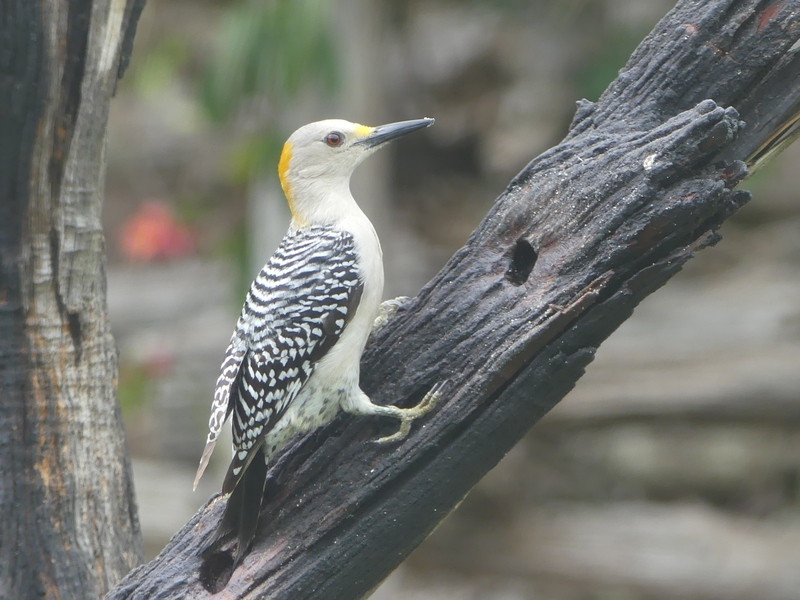 Golden-fronted and Ladder-backed Woodpeckers up close. A flock of Cedar Waxwings in the pool. 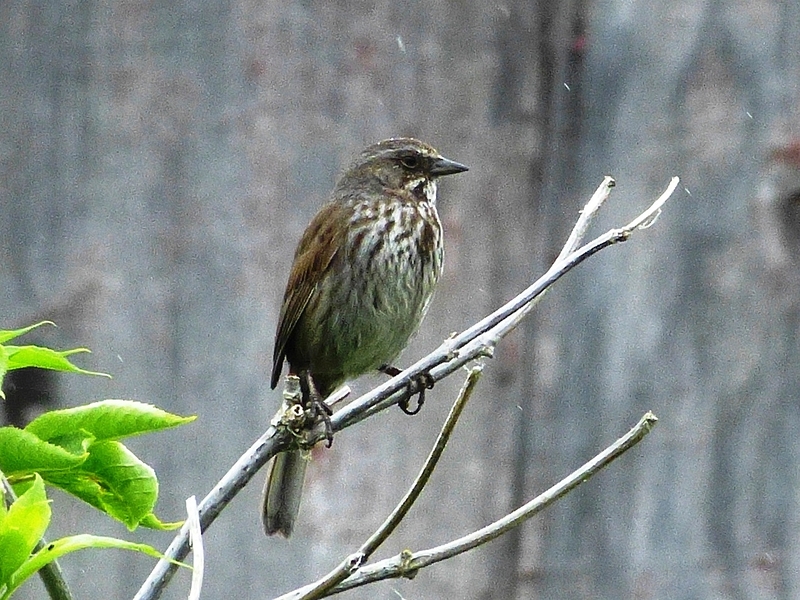 Good looks at Spotted Towhee and Lincoln’s Sparrows. We saw only 16 species, but some like Bewick’s Wren were birds that I had not seen anywhere else on this trip. The next day, Friday, I really had to start heading home, so I reluctantly said goodbye to Trissie. But I was greedy and drove two hours west to Pedernales Falls before heading east. The difference from the previous day was astonishing. It was so quiet that I could hardly believe it was the same place. But it was still nice to do my last Texas birding at such a wonderful place. 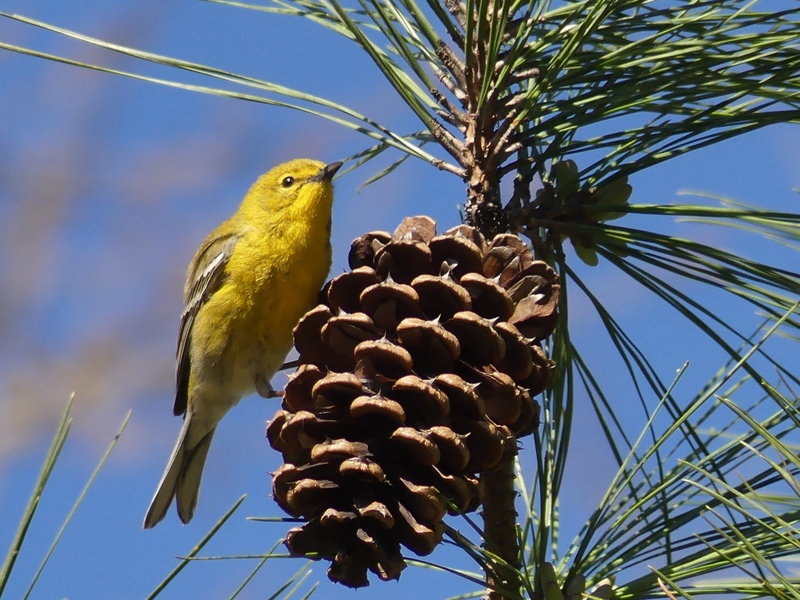 Pine Warbler at an I-30 rest stop in Arkansas. The drive home was uneventful. I have learned to pace myself by not driving too far each day. I stopped at nearly every rest area and walked around for 20-30 minutes with my binoculars and camera. I usually didn’t find anything more exciting than robins or chickadees, but sometimes I got lucky as with a lovely male Pine Warbler in Arkansas. I will definitely be doing more road trips. One of them is sure to be to Texas again to visit Trissie and Mike and see more Texas birds and butterflies. The birding trip with Bill Drummond and Dave Hursh was great, but it was rigorous with early starts and no down time. 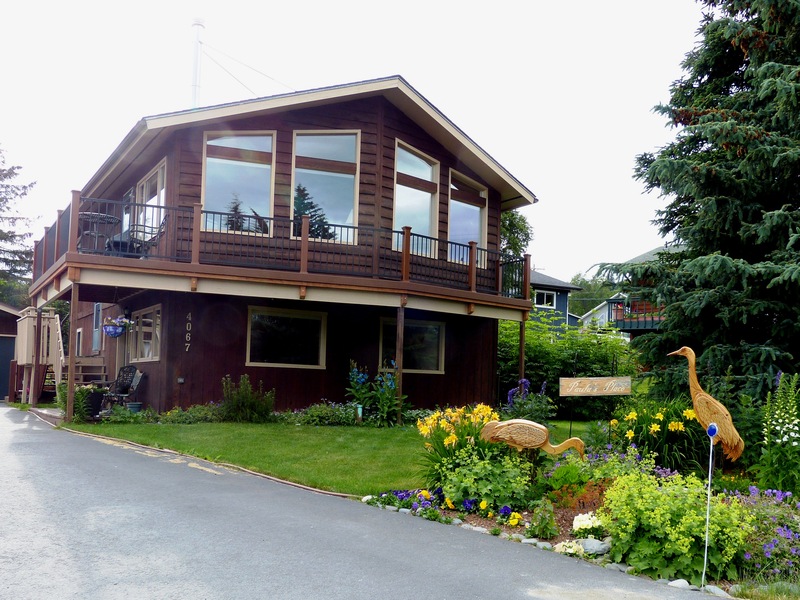 I found myself looking forward more and more to the relaxing week with Diane on the Kenai Peninsula. I didn’t expect to get any additional life birds, but it would be wonderful to spend time with a friend and we wouldn’t have to get up at 5:00 AM every morning. 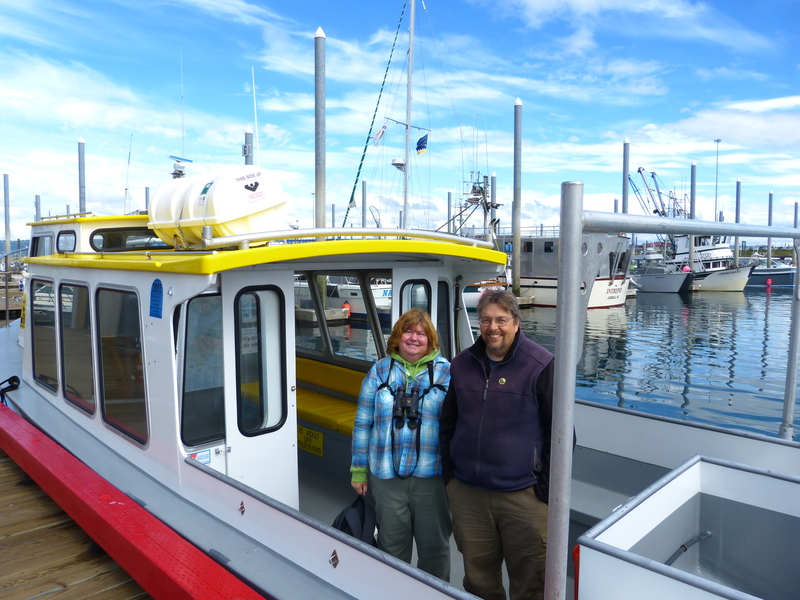 After Diane and I both arrived at the Anchorage airport on June 27, she from Minneapolis and me from Barrow, we spent the afternoon birding close to the hotel. The next morning we set out for Homer. It was only a little over four hours, but we had all day. 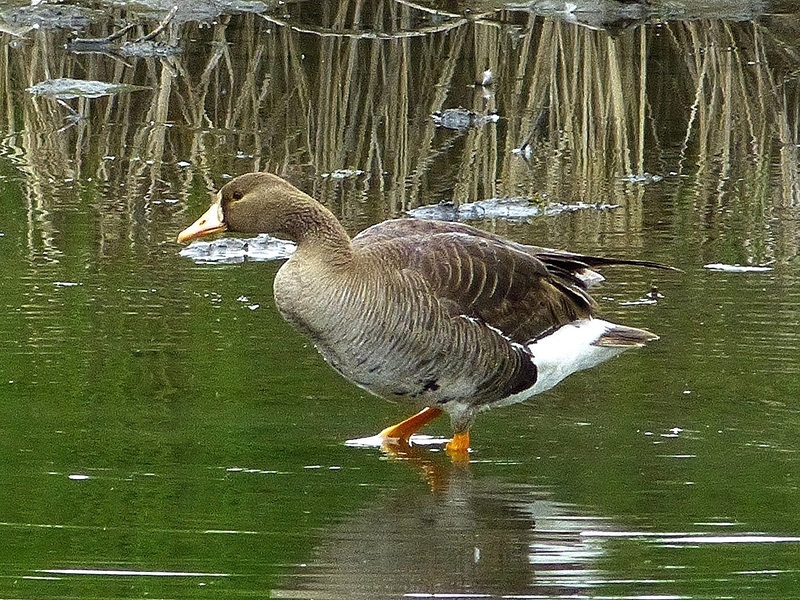 Our first stop was at Potter’s Marsh just outside of Anchorage, where the highlight was a Greater White-fronted Goose, a life bird for Diane. We could have stayed there all day, but after a few hours, we got back on the road and continued on to the Kenai Peninsula. The drive to Homer was breathtaking and ended with a warm welcome at Paula’s Place, our bed-and-breakfast home for the next two days. We had the entire beautiful and comfortable lower floor to ourselves. Paula’s warmth and hospitality made us want to stay forever. The following morning, June 29, was one of the best of the entire trip. We spent the morning at Mossy Kilcher’s Seaside Farm. 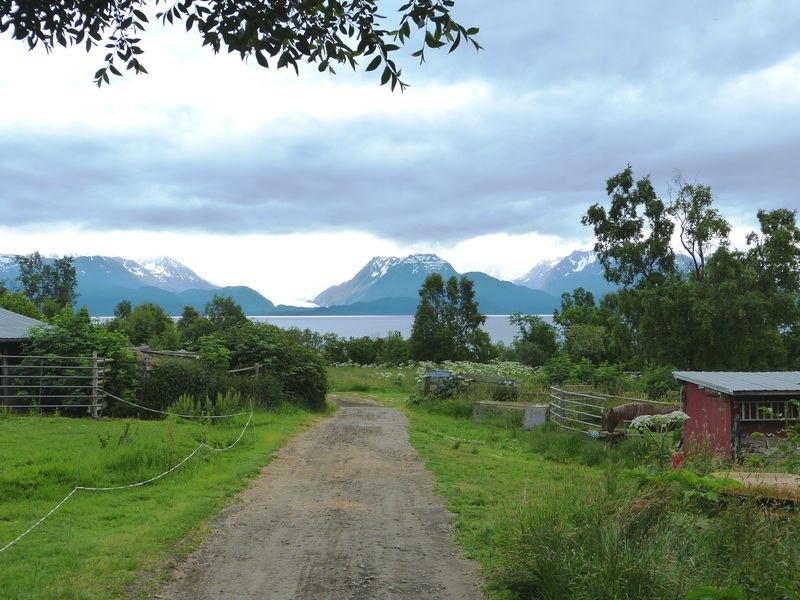 It’s a real working farm with a hostel and guest cabins. The place had a hippie atmosphere which made it feel a little like magically stepping back into the 1960’s. Underlying it all was an incredible respect and love for all the animals who call the farm home. We were especially touched by a very old horse who was given a large enclosure, food, and loving care even though he was too old to ride. Mossy spent some time with us and we enjoyed meeting her as much as seeing her farm and birds. She amazed us by knowing every bird and it’s history. She pointed out one singing Fox Sparrow and told us where his nest was last year as well as this year. She recognizes each individual bird by subtle differences in his song. 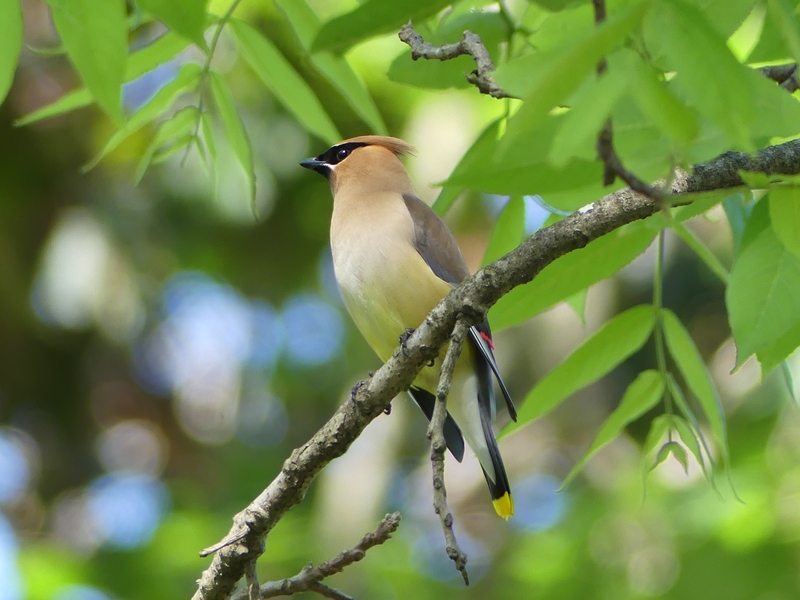 Mossy protects these birds by not allowing free-roaming cats or dogs on her property. We were delighted by baby birds everywhere. Mossy told us that many Alaskans think of wild celery as a weed and cut it down, but she lets it grow because it’s good bird habitat. 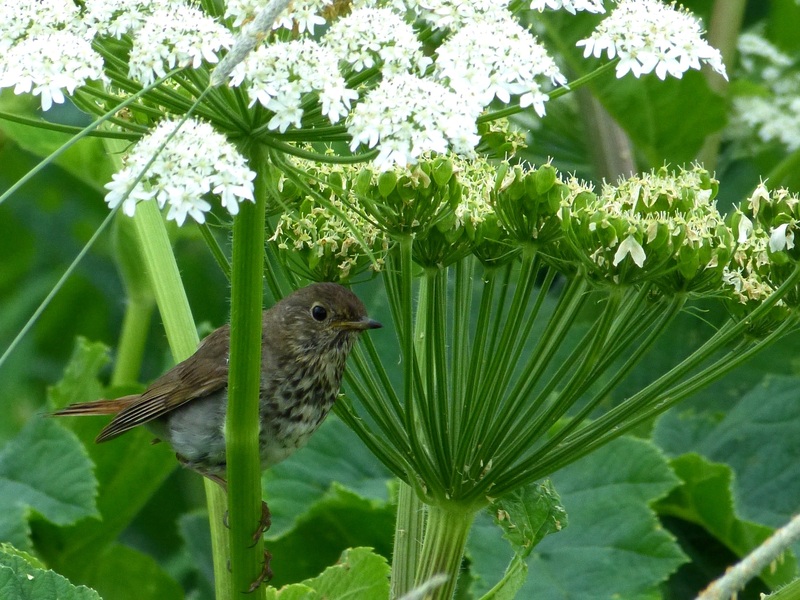 We caught this pretty fledgling Hermit Thrush flitting around under wild celery. 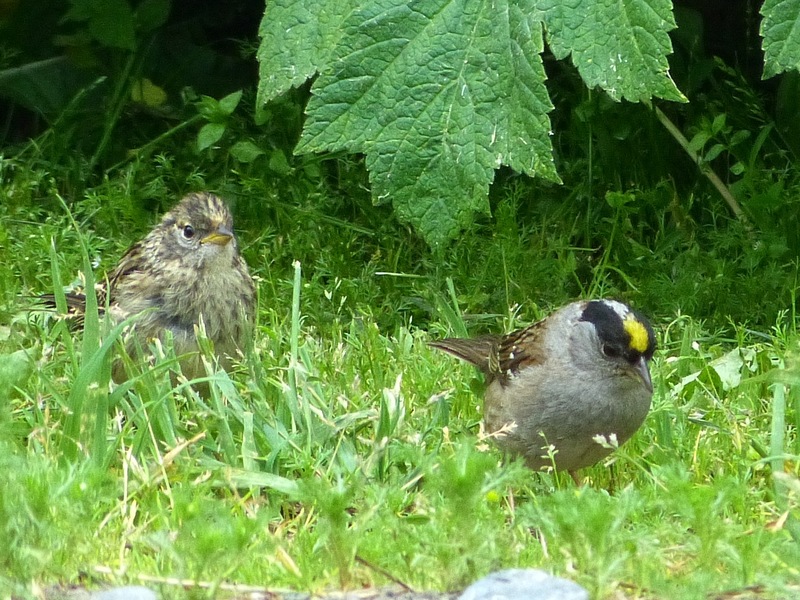 We were also treated to our best looks ever at Golden-crowned Sparrows. Below is a cute baby followed by a photo of it with a parent. 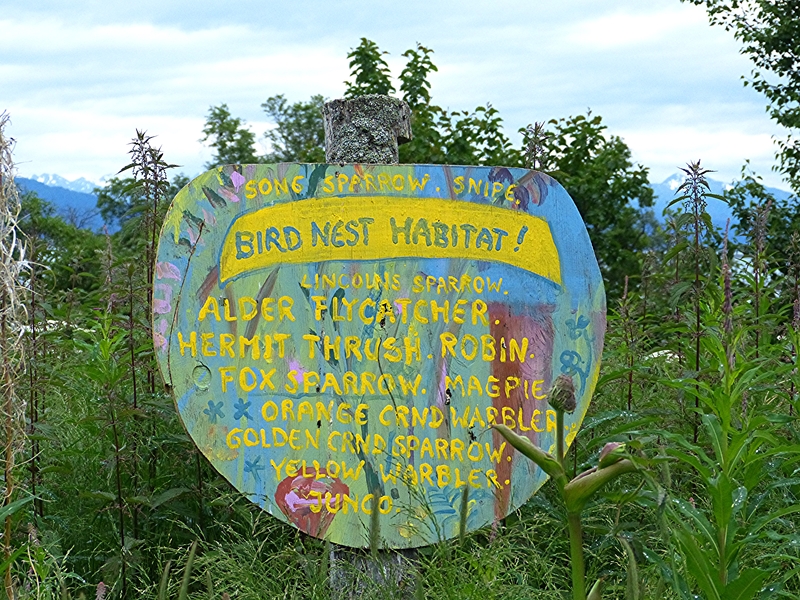 After spending the entire morning at Mossy’s Seaside Farm, we tore ourselves away to check out some other birding spots near Homer. 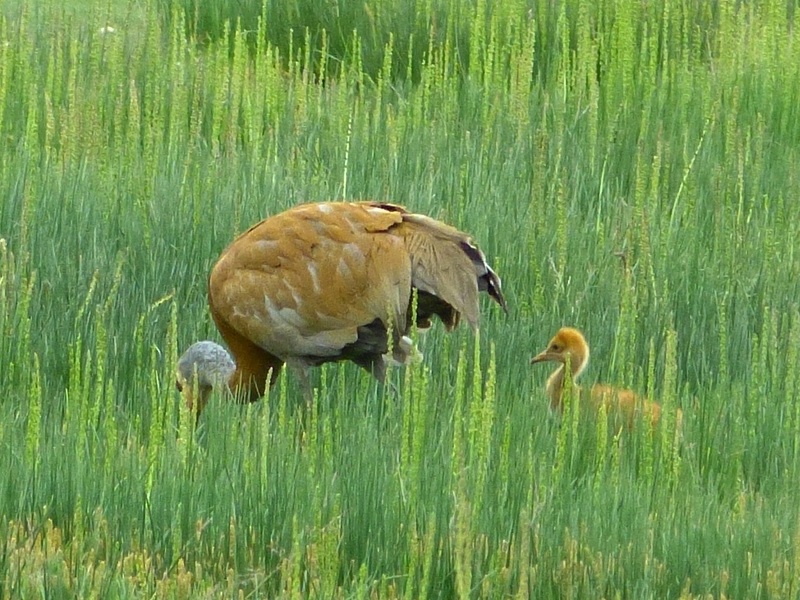 After lunch, we went to Beluga Slough where we enjoyed a pair of Sandhill Cranes with their young colt. 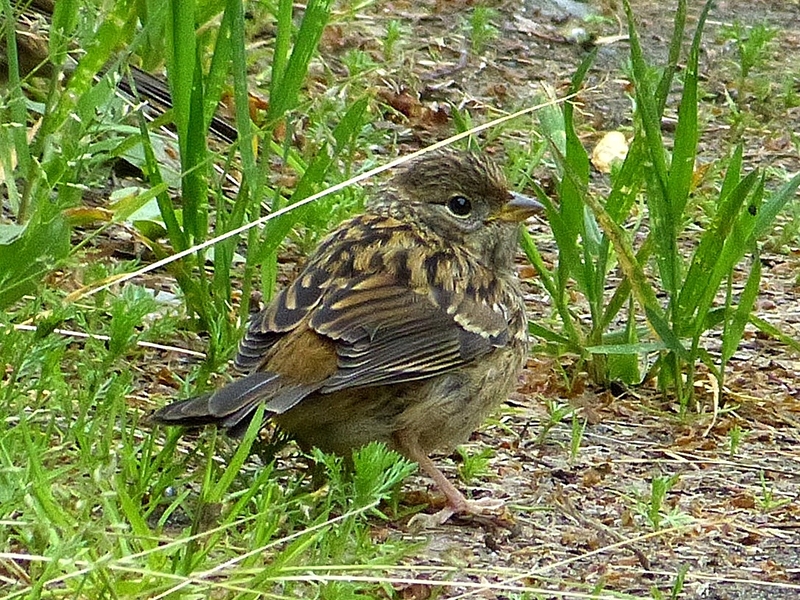 Song Sparrows are common across North America, but the sub-species in Alaska is much darker than those in other parts of the county. We finished the day with dinner and a drive down the 4-mile Homer Spit, a world-famous birding hot spot. The shorebirds for which it’s best known had passed through in May, but in June there were still many birds including thousands of gulls. 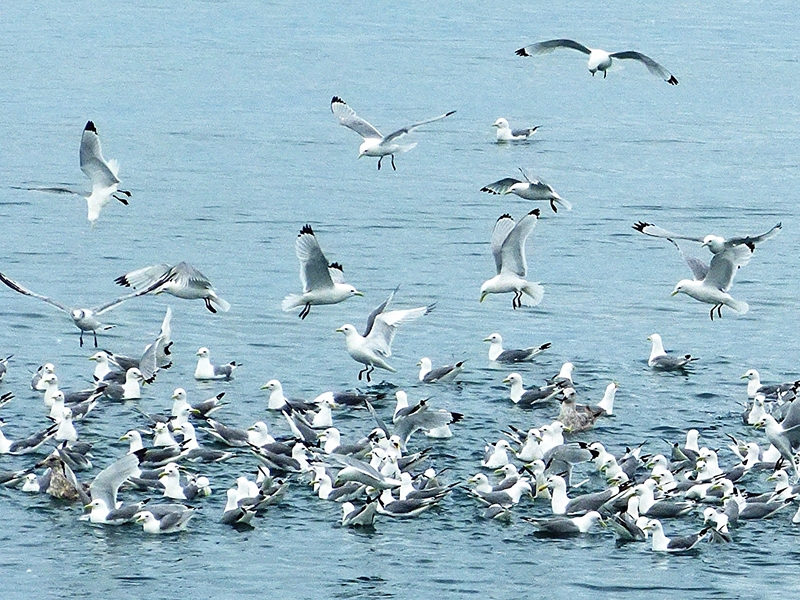 The photo below shows a flock of Black-legged Kittiwakes, a species we saw all over Alaska. 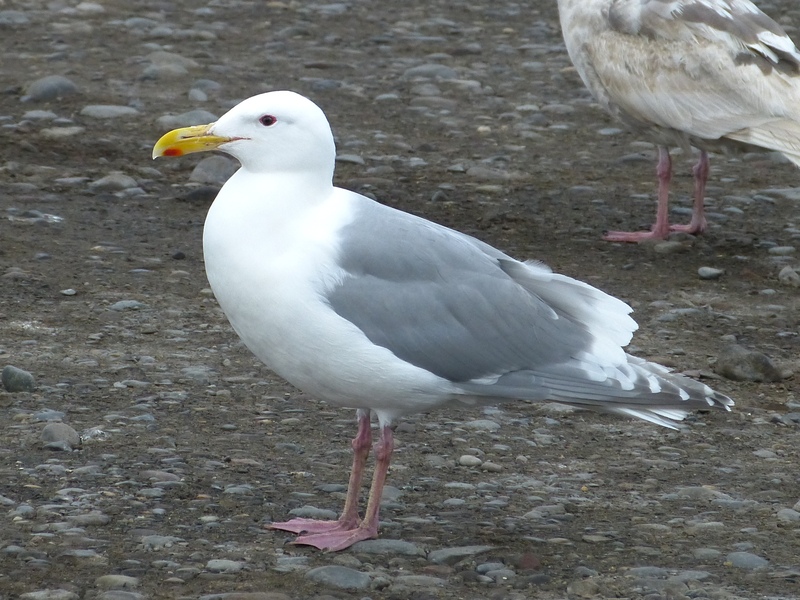 The Glaucous-winged Gulls in Homer were very accommodating photographic subjects. Diane and I fell into bed that night tired and happy after an amazing first day in Homer. We were up early the next morning for our boat trip with Karl Stoltzfus, owner and operator of Bay Excursions. Karl is a serious birder and the local expert on Kachemak Bay wildlife. His small yellow boat was perfect for getting close to the birds. 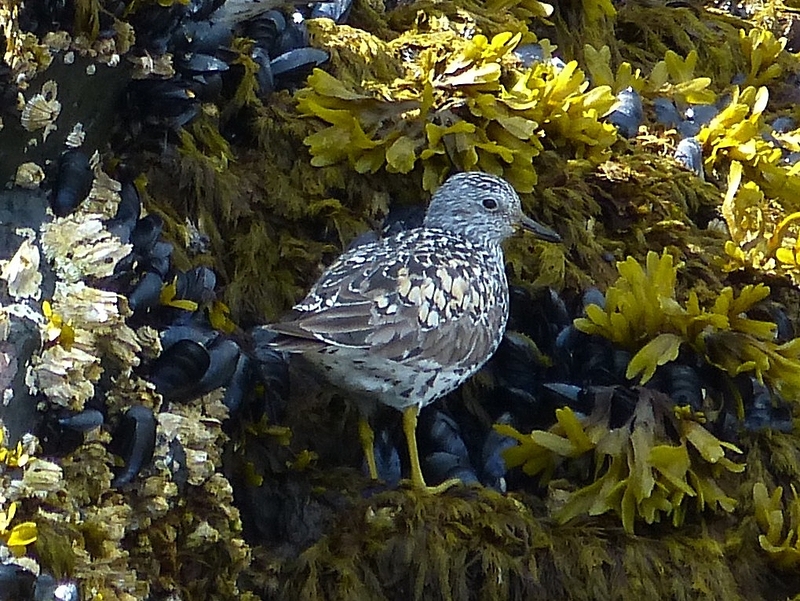 The Surfbird’s golden highlights glowed in the sun. Sea otters were so cute floating on their backs. 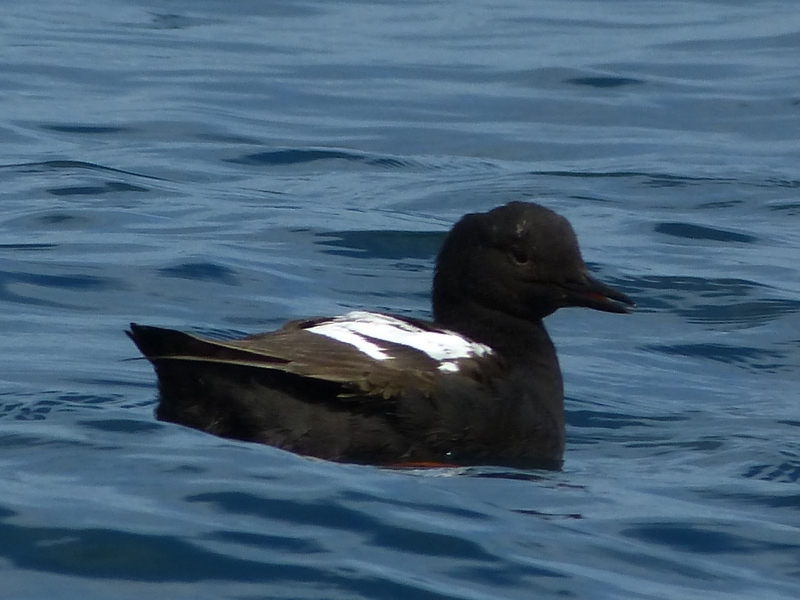 It was great to get an up-close look at a pretty Black Guillemot. 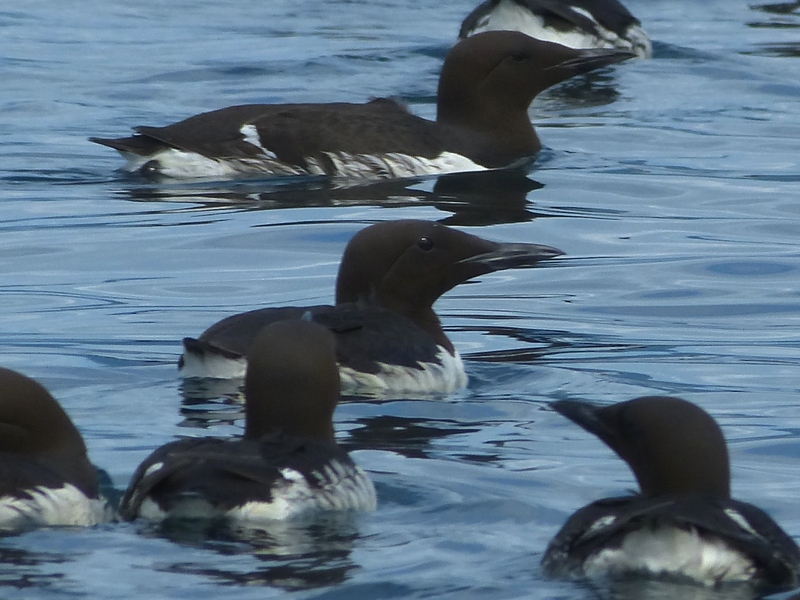 And, while I’d seen many Common Murres in Alaska, we got closest to them on Karl’s boat trip. The three-hour Kachemak Bay trip was perfect. Karl stayed close enough to land that the seas were smooth, a blessing for those of us who get seasick. And, it was long enough to visit Gull Island and other highlights of the bay. Most exciting for me was getting a good look at Kittlitz’s Murrelet, my last life bird in Alaska. I had missed this bird on the Northwestern Fjord trip out of Seward, but with his small boat and excellent skills Karl got much closer to the birds. 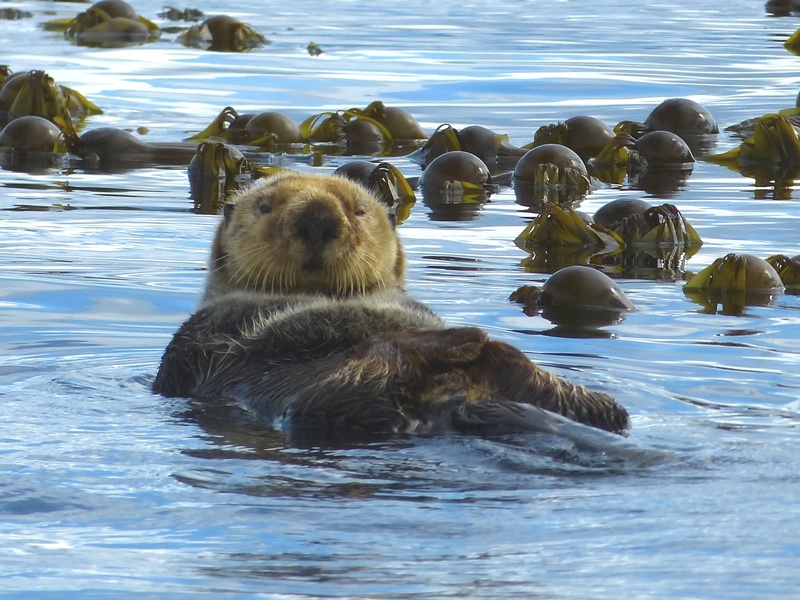 Karl is very knowledgeable about the local wildlife and he shows respect for them by stopping his engine at a good distance and letting the boat drift towards the birds, and sea otters, so as not to endanger or alarm them. Diane and Karl aboard the Torega. Our time in Homer had been wonderful, but we had more places on the Kenai Peninsula to visit, so we packed up and headed on towards our next destination after lunch. 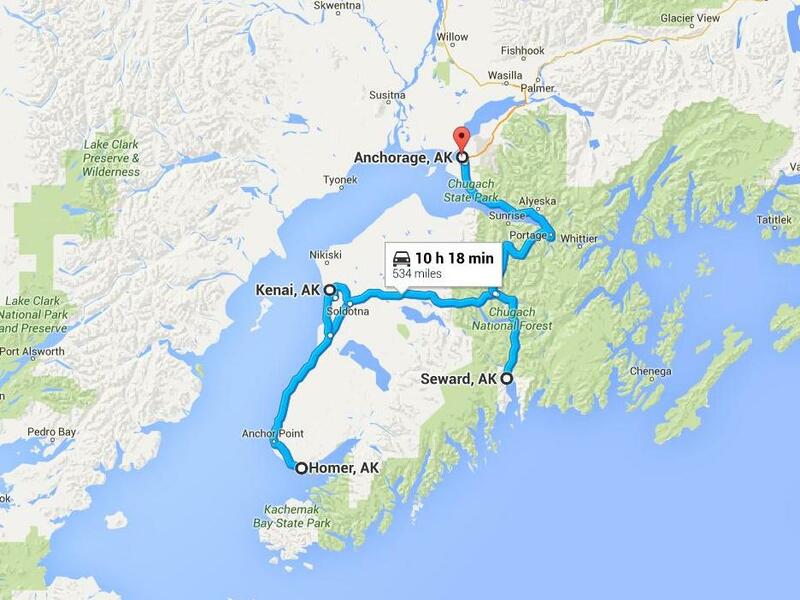 On the drive to Kenai, Diane and I both talked about our dreams of visiting Homer again. 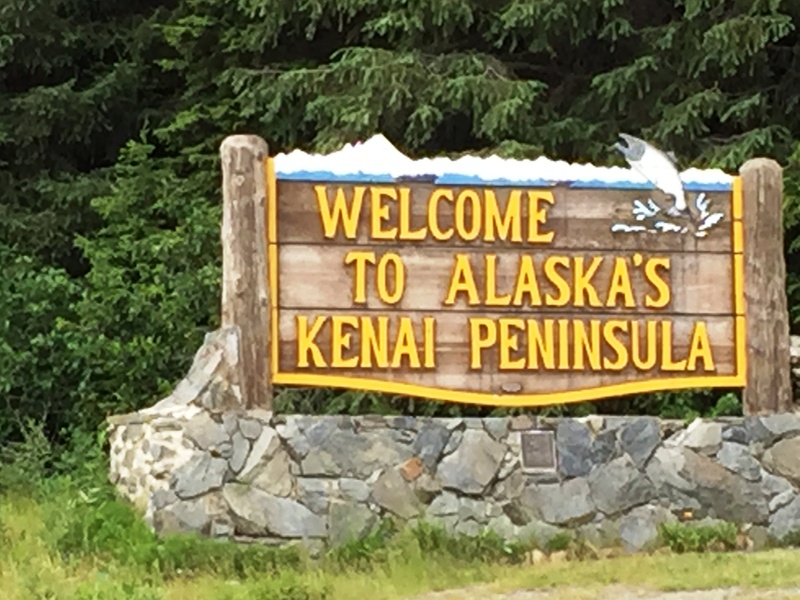 Next story about my trip – Alaska 2015: Hello America!